Remember those Moroccan-Inspired Preserved Lemons we made not too long ago? Well, go get a jar, because we’re going to put them to good use here! If you don’t have preserved lemons, I’ll walk you through a pretty good substitute using a fresh lemon, below. The taste of preserved lemons can’t be duplicated exactly, but just about any combination of lemon and chicken is darn good. *Alternatively, use the zest and the “insides” (juice and pulp) of a whole, organic lemon – everything except the seeds and the thick white pith underneath the zest. Also, only if you are using a fresh lemon, add 1 teaspoon of salt to the puree. 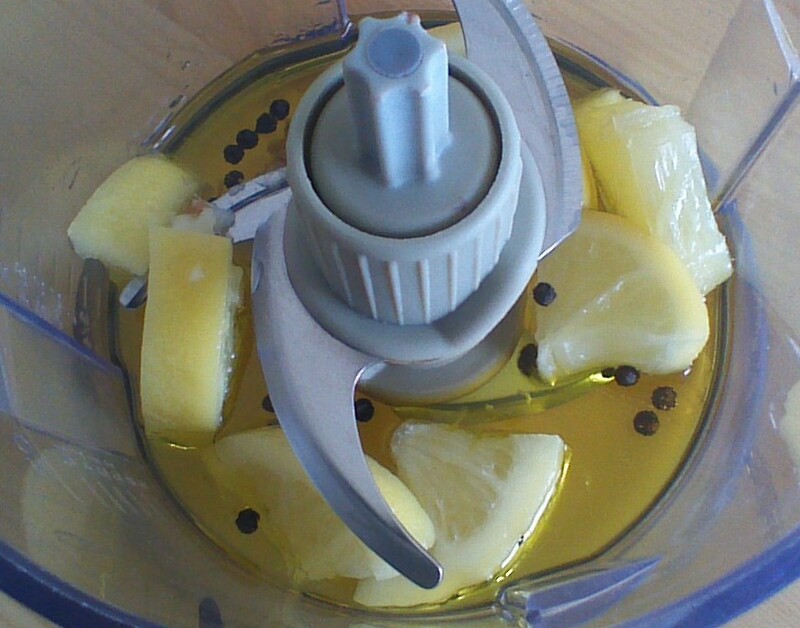 Step 1) Place lemon, garlic, olive oil, and peppercorns in a small blender or food processor. Puree until smooth. Step 2) Score each piece of chicken several times with a sharp knife. 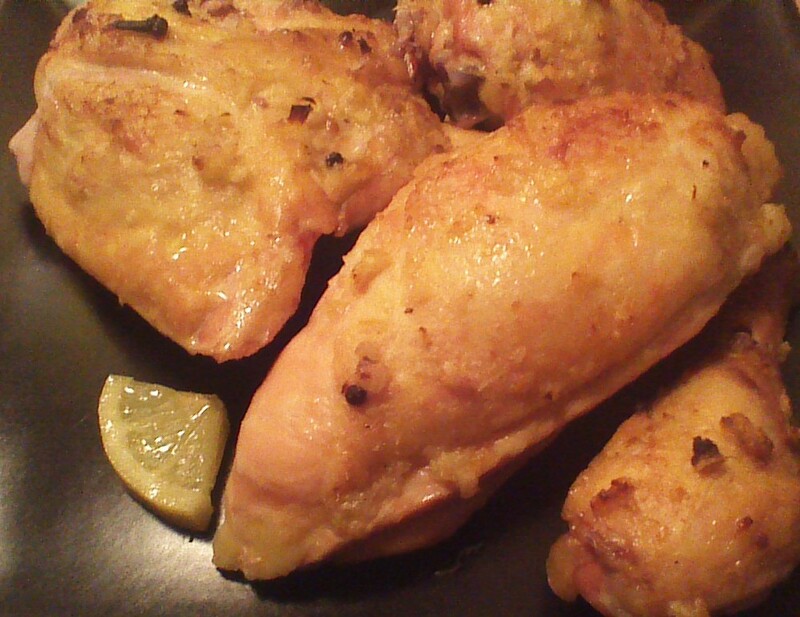 Step 3) Generously rub each piece of chicken with the lemon puree and set in a pan. Sprinkle with torn bay leaves (optional) and whole cloves (optional). Bay leaves and cloves should be removed before baking. Step 4) Pour any remaining lemon puree over your pan of chicken, cover with foil, and refrigerate for at least 4 hours, but no more than 24 hours. 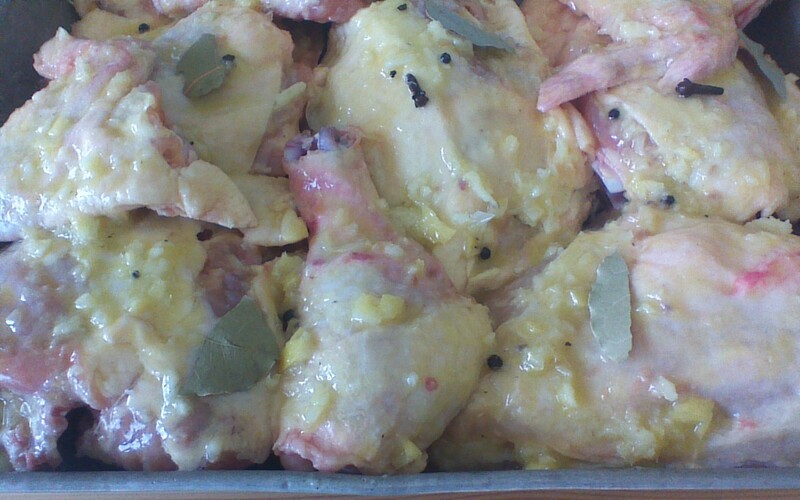 Step 5) Remove from fridge 30 minutes before baking, and rearrange chicken so that it can bake in a single layer. Step 6) Bake in a preheated, 350 degree oven for 1 hour, or until a meat thermometer inserted into the meat (but not against a bone!) reads 165 degrees. Tip: I bake the smaller pieces (wings, drumsticks) on a their own pan, as these pieces are usually ready to come out of the oven at least 10 minutes before the larger pieces (breasts, thighs). Serve with a salad and your choice of sides. I’ll show you my choice of a side dish in my next post! 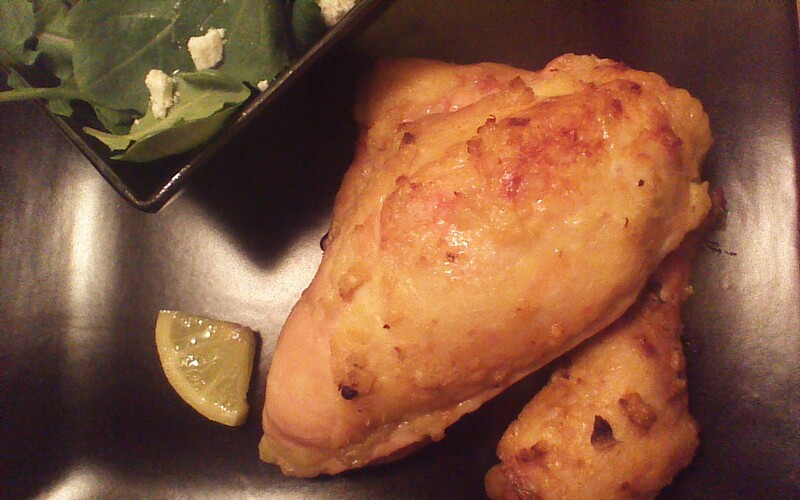 This entry was posted in Main Dishes and tagged chicken, Food, lemon. Bookmark the permalink.